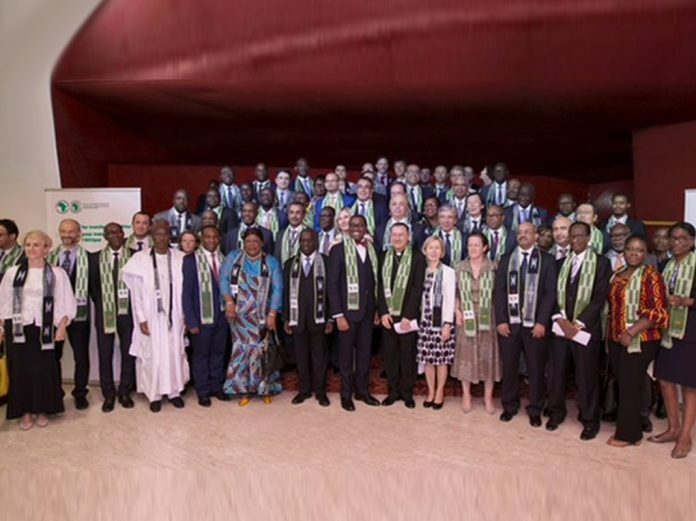 Abidjan, Côte d’Ivoire, February 7, 2018 – The President of the African Development Bank Group, Akinwumi Adesina, hosted the annual luncheon of diplomats accredited to Côte d’Ivoire in Abidjan on Tuesday with an appeal on the Bank’s member countries to contribute to the 7th General Capital Increase to enable the institution to realise its development objectives. Welcoming the diplomats on behalf of the Board of Directors, management and staff of the Bank Group, Adesina shared perspectives on the performance of African economies, updated them on the institution’s activities and highlighted emerging economic issues for the Bank and the continent. “The African Development Bank, your Bank, is reforming, innovating, leading and delivering more for Africa than ever before. With the strong support for a General Capital Increase by our Board of Directors, Governors of the Bank, and you, the Ambassadors representing our shareholder countries, Africa will indeed experience a much brighter and impactful future,” he said. Adesina highlighted Africa’s performance noting that the continent remains resilient to global economic headwinds and climate shocks as related by the Bank’s 2018 Africa Economic Outlook published in Abidjan on January 17, 2018. Average GDP growth was 3.6% in 2017, up from 2.2% in 2016, he said. Eighteen African countries grew above 5% in 2017, and 37 others above 3%. Average GDP growth is projected to accelerate to 4.1% in 2018 and 2019. In 2017, the Bank achieved impressive development impacts. Its “Light up and power Africa” High 5 reached 4.4 million people with access to electricity. The Bank’s “Feed Africa” goal reached 8.5 million Africans with access to improved agriculture technologies. “Integrate Africa” provided 14 million Africans with improved access to transport, while “Industrialize Africa” provided 210,000 small businesses with access to financial services. The Bank’s “Improving the quality of life” High 5, provided 8.3 million Africans with improved access to water and sanitation, Adesina said. The Bank achieved its highest annual disbursement ever in its history at US $7.67 billion while maintaining its Triple “A” rating by the major global rating agencies. It invested US $1.39 billion in 31 operations in the energy sector in 23 countries representing a 30% increase over 2017. The institution launched its largest bond transaction, with a $2.5 billion 3-year global benchmark, followed by its largest ever 5-year global benchmark for $2 billion; and continues to grow its income, reversing a wo-year declining trend. In 2016, its net operating income rose to US $556.6 million, shot up to US $855 million in 2017, and increased by almost 54% over 2016, and 73% increase over 2015. 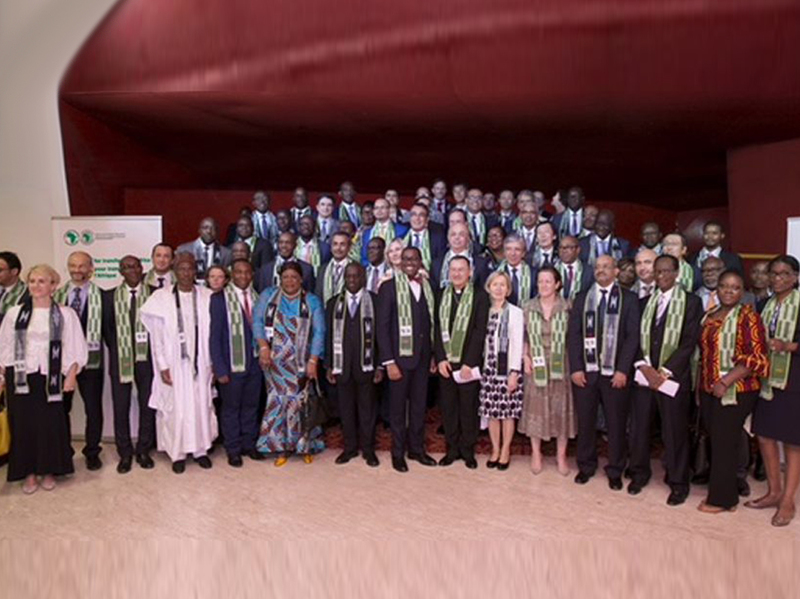 Currently, the Bank is spearheading the development of the Desert-to-Power initiative to harness electricity from the sun all across the Sahel, designed to generate 10,000 MW of power, connect 250 million people to electricity, including providing 75 million people with off-grid systems. The Bank is “reforming, changing, delivering and leading,” through the strong support it receives from it member countries, Adesina said, adding that such support will be most needed during the General Capital Increase to help the Bank do more for Africa. “At a time that we need to ramp up support to Africa for the SDGs, the Bank needs more resources through a General Capital Increase (GCI). The message could not have been heard louder than when the Ministers and Governors of the Bank from West and Central Africa came to the Bank recently. They unanimously supported the General Capital Increase for the Bank,” he said. To mobilize African and global pension funds, sovereign wealth funds and institutional investors, to invest in Africa, the Bank has launched the Africa Investment Forum (AIF) to be held November 7-9 in Johannesburg, South Africa. The transactional forum is expected to become Africa’s premier investment marketplace, Adesina said, noting that several peer institutions have indicated their interest in participating in what could become Africa’s largest private-sector investment accelerator. In his response, the Dean of the Diplomatic Corps, Apostolic Nuncio to Côte d’Ivoire, Monsignor Joseph Spitieri, congratulated Adesina on his 58th birthday and commended the Bank for helping pull people out of poverty. “The success of your strategy encapsulated in the High 5s is testimony to your commitment to help people in Africa and reduce poverty,” the cleric said. “We wish the Bank success in its endeavours to improve the lot of the most deprived people in Africa,” he added.